BIBOL & ELIE LAPOINTE TALK TO KM ABOUT CURRENT CRISIS FACING DJAKOUT #1! (READ WHAT THESE FORMER MEMBERS HAD TO SAY)! 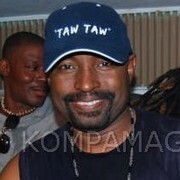 *BIBOL (Long time member of Djakout Mizik) TALKS TO KM ABOUT DJAKOUT #1'S CURRENT CRISIS! *ELIE LAPOINTE'S MESSAGE TO DJAKOUT #1!